What is more beautiful than hearing the voice of children raised in songs of praise to their Savior! 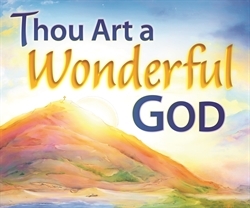 This colorfully illustrated song of praise teaches children to praise God for creation and salvation and encourages them to share the wonderful gospel story. This 12-page, top-bound book on sturdy card stock contains all four verses of the song with the sheet music on the last page. K5–gr. 6.